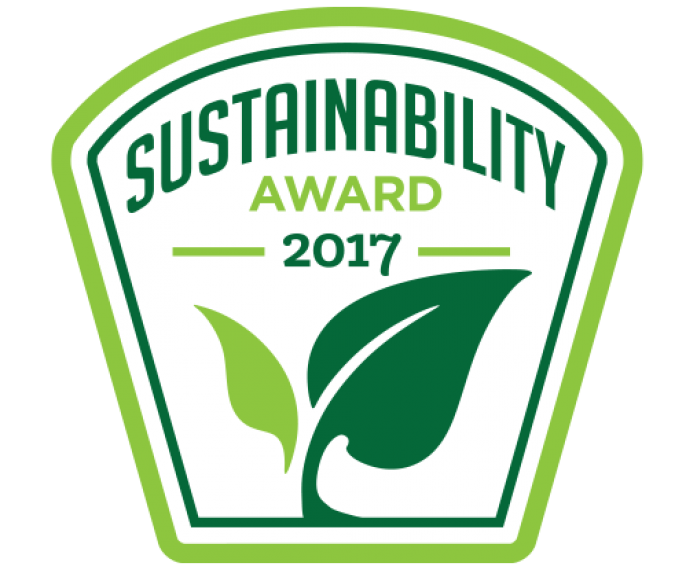 On October 12, 2017, the Business Intelligence Group named Seth Kursman, our vice president, Corporate Communications, Sustainability and Government Affairs, “Sustainability Hero” in the 2017 Sustainability Awards category. These awards honor individuals, teams and organizations who have made sustainability an integral part of their business practice or overall mission. The award acknowledges Seth’s sustainability leadership and Resolute’s success in driving performance improvements on a host of key environmental, safety, stakeholder and overall sustainability priorities. “Cultural change only happens under strong, dynamic and committed leadership. We are very fortunate to have just that at Resolute. I’m pleased to accept this award on behalf of our team, 8,400 strong, integrating sustainable outcomes into our work every day,” said Seth. The Business Intelligence Group was founded with the mission of recognizing true talent and superior performance in the business world. Unlike other industry award programs, business executives – those with experience and knowledge – judge the programs. The organization’s proprietary and unique scoring system selectively measures performance across multiple business domains and then rewards the companies whose achievements stand above those of their peers.